With protest comes power. With action comes change. After a season in which NFL players found themselves at the center of a national firestorm over their protests during the national anthem, they’re now reclaiming their narrative. Doing it with the help of NFL owners, no less. On Tuesday, the NFL and Players Coalition announces “Let’s Listen Together,” a marketing campaign to highlight the work players have been doing on social justice reform and racial equality, and draw further attention to the problems that prompted the protests in the first place. There will be videos showing the players educating themselves and others, giving real-life context to complicated and uncomfortable issues like biased policing. The first, debuting Thursday on the NFL Network, features Philadelphia Eagles safety Malcolm Jenkins sitting down with Upper Darby police Superintendent Michael Chitwood, whose officers now undergo training in racial bias, social and emotional intelligence. And there will be letters from players and owners such as Arthur Blank and Jeffrey Lurie, explaining what they’ve learned, why it’s important and what they hope to accomplish moving forward. “As players, it was important for us not to just protest, but to have something backing it,” Patriots safety Devin McCourty told USA TODAY Sports. “Doing listen-and-learn tours. Doing different panels where we can bring people together and learn. It wasn’t just Sundays and that’s it. When the NFL and the Players Coalition announced late last year that they’d agreed to formalize and fund social justice efforts, it was met with a healthy dose of skepticism. Was this a sincere effort on the part of the NFL? Or was the league simply trying to buy itself cover from President Donald Trump’s raging tweets and hate-filled characterizations of the player protests? But it’s not the motivation that matters so much as the results. And this campaign shows there’s a great deal of promise in the partnership. 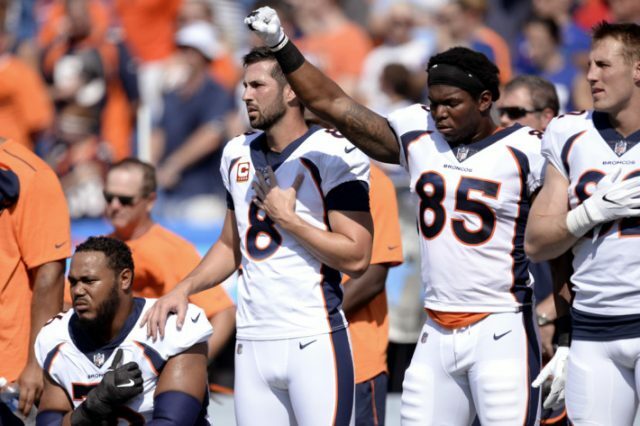 From the very beginning, the player protests have been badly mischaracterized. They’re not about the anthem or the military or the flag, and they never were. They’re about forcing a conversation this country desperately needs to have on the racial and economic inequality that shackles us all. Without true equality, the ideals on which this nation stands are hollow words. Then why, the question always came, aren’t the players doing something besides protesting? They are. They have been. But their platform only reaches so far and so wide. Their celebrity gets them a meeting, maybe even sways a vote or two. But the kind of change they seek requires buy-in from the people who hold the power. People like the 32 owners and their friends. Jonathan Kraft, who is president of the New England Patriots, thought he was well-versed in the social issues that plague our nation. His undergraduate degree was in history. His family had started the Kraft Center for Community Health to expand access to health care in disadvantaged communities. He had coached Pop Warner teams with kids facing the very issues players are trying to address. But when Kraft joined McCourty and some other Patriots players for a Jan. 5 meeting at Harvard with criminal justice advocates, he discovered how little he really knew. “My eyes were really opened,” said Kraft, who was outraged to learn that children as young as 7 – most of whom are boys of color — can be arrested simply for misbehaving at school. Kraft recounts the impact that day had on him in a letter that’s part of the campaign. But he was so incensed by what he learned that he began making phone calls, too. These aren’t ordinary phone calls, mind you. They’re to officials in the highest levels of government, the kind of people who can undo some of these biased policies with a signature or a meeting. That is how change happens. People of economic, racial and social privilege realizing that their view of reality is a limited one and wanting to change that. This new campaign will help chip away at that. There’s been so much noise surrounding the player protests that it’s obscured the message behind them. But if you listen, really listen, you might learn something. And who knows what can happen from there.